My Garmin 235 started acting wonky a few weeks ago. At first I wasn't concerned about it, but performance started to suffer and I even started missing data without knowing it. It's not unusual for a smart device to need a soft or hard reset. I'm not sure if these initial problem "signs" all really could have been solved with a reset when I first noticed them, but since giving the watch a hard reset the other day the watch is performing as expected once again. 1) The first problem I encountered was a mystery .2 mile addition to my run during the Daytona Beach Half Marathon close to the start of the race. Typically GPS watch distance data doesn't match up exactly during races, but this was a strange, early anomaly. 2) Shortly after the Daytona Beach Half I noticed my watch was taking a bit longer than usual to be GPS-ready. While a wait of less than 5 seconds had been normal from the beginning, it started taking 30 seconds to a couple of minutes for the device to indicate it was GPS-ready. 3) The Bluetooth connection with my iPhone took longer and longer to sync. I wasn't typically using this feature during runs, only afterwards to sync data, so this issue wasn't too bothersome. I wish I had reset my watch after noticing these small problems, because it seriously affected the data I got for the three races I ran during Princess Weekend at Walt Disney World. 4 & 5) During the Princess 5K, the watch gave me nearly 2 times the mileage (5.93 miles for a 5K / 3.1 mile race). I didn't find out until later that it also didn't capture or save any GPS data at all. I had stopped a lot for photos and I was kind of giving the watch some slack for the strange "workout" I was having it track. Still, I wish I had reset the watch after this race. I run all these Disney races for fun, with the 5K being the most about fun and least about time (I typically stop for all photo ops during a Disney 5K). So at the time I was just hoping the Garmin had experienced a one-time tracking issue. During the Princess 10K, the watch gave me a distance of 8.3 miles versus the 6.2 I actually ran. I was trying to let Arthur know where I was and it was hard to predict when I'd come up on a mile marker or know how far I still had to run with the watch acting wonky. I have no GPS data from this run either. I was irrationally angry at my Garmin but it unfortunately still didn't occur to me to reset the watch. During the Princess Half Marathon, the watch gave me a distance of 14.72 miles versus 13.1. While I wasn't trying to PR or even race this event, I was still disappointed to have my running watch giving unhelpful pacing information. It was an unfortunate distraction. 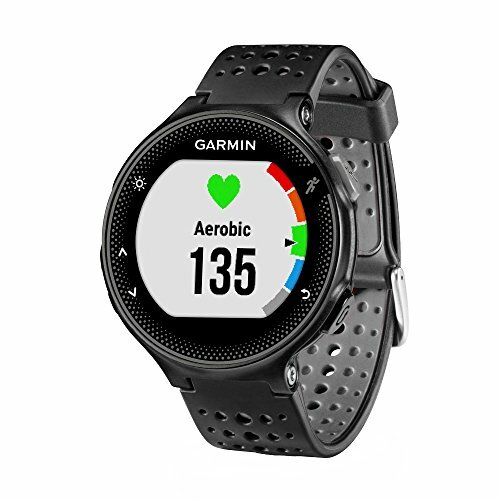 After race weekend I tried to troubleshoot what was going on with my Garmin and found this helpful post from The Wired Runner: Troubleshooting Your GPS Watch. A soft reset didn't seem to have any effect so I did the hard reset and the watch has been working as new ever since. A hard reset puts the watch back to factory settings but synching with my computer got my personal data back and I just had to re-add my interval alerts and resync the Bluetooth with my phone to get back in business. Have you ever had problems with your running watch that were simply solved by doing a soft or hard reset?